MiNDv2 new capabilities make it pretty much the most comprehensive streaming platform we know, allowing playback of all the most common file formats, including DSD and MQA (via local files and TIDAL Master files). Hence, access to all the high definition streaming services – Qobuz HD, Deezer Elite et al. Good news indeed. The even better news? 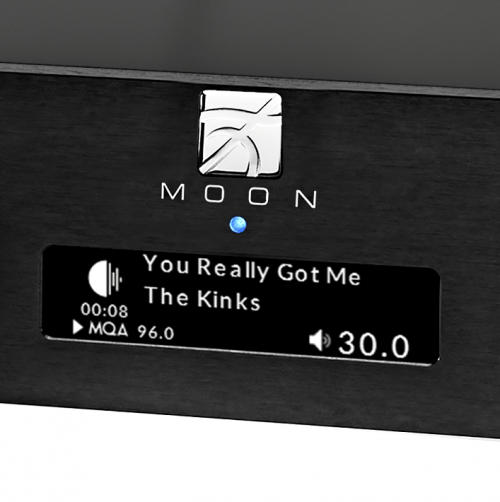 Have your MOON streamer upgraded to MiNDv2 before 31st August and you’ll get the upgrade at just £455, a little over half price. The upgrade consists of a totally new streaming board and some sophisticated new firmware and software. Ongoing, the cost of this upgrade will be £800 including fitting. Just book your unit in with us to have the work done before the 31st of August to qualify. Email or call us on 01244 345576 to book your update.